This week I have been totally deprived of sleep, have not eaten well and my house is a mess. And it's been a blessing. After a very long dry spell of depression, darkness and fear, a light lit inside my heart and I suddenly felt the urge to make, to create, to bring things to life. 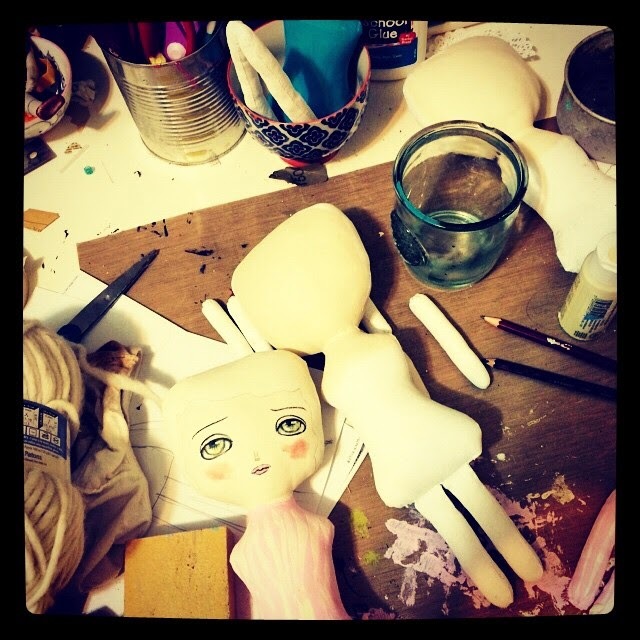 And what better way to create than making dolls? 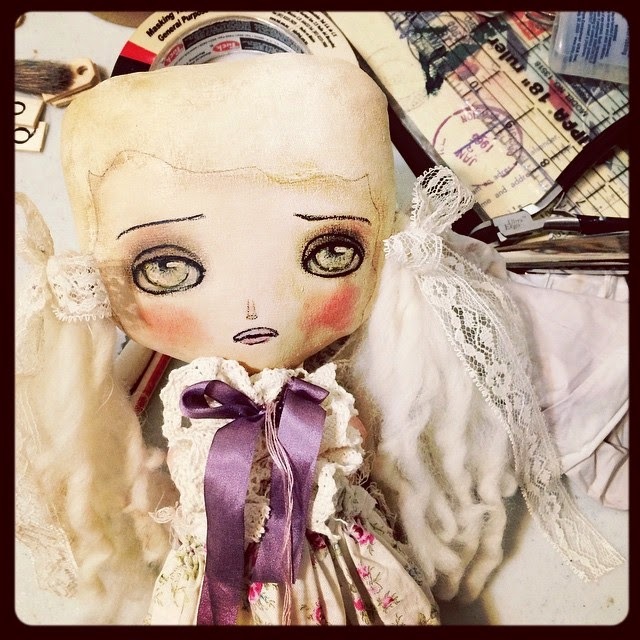 There's something very special to me about doll making. 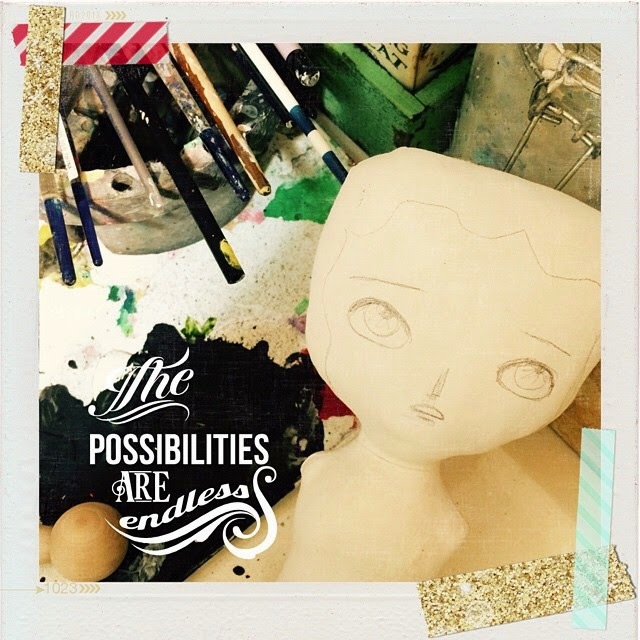 I get to take raw material and shape into a little person that will have a defined personality, a story to tell and will come to life when I hold her in my hands. That very act of creation fills my heart with happiness and joy. 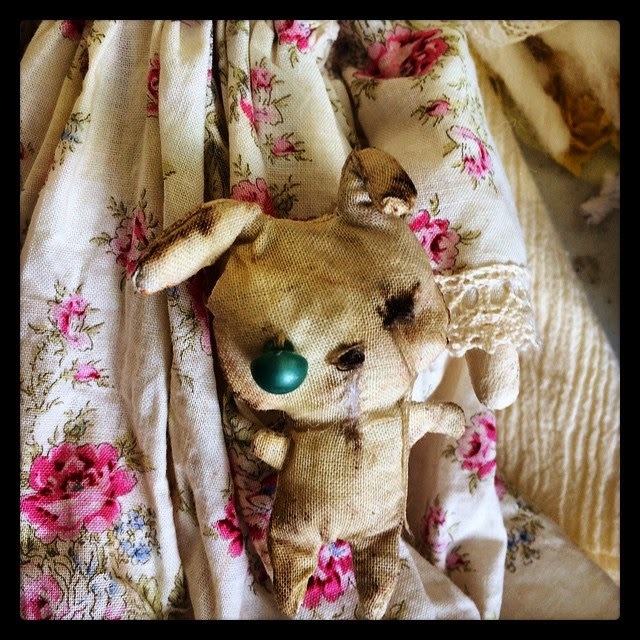 I am like a child, playing in my own little world, busy cutting, sewing, painting, sewing and cutting again until I am satisfied, and I know no sleep, hunger or pain while I am entranced on the process of creation. I can stay up all night for days, busy busy while I fill this hunger my soul has for creating and making things with my hands. 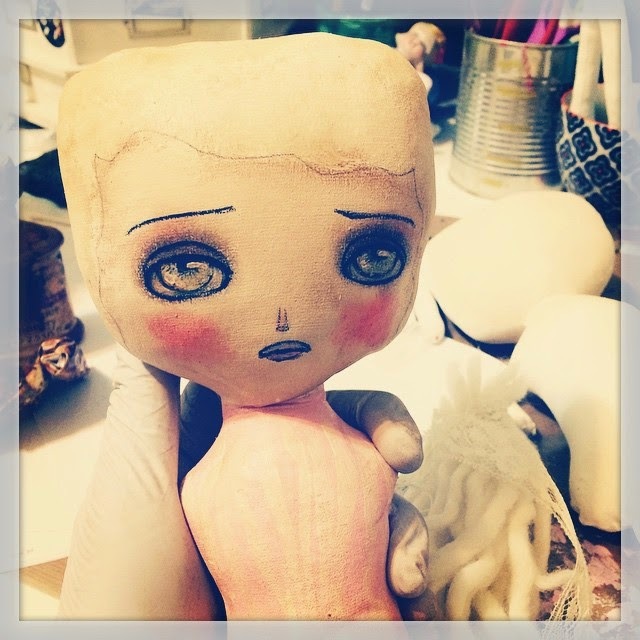 Slowly, the doll takes shape. The idea inside my head leaves the realm of my dreams and enters own own reality. 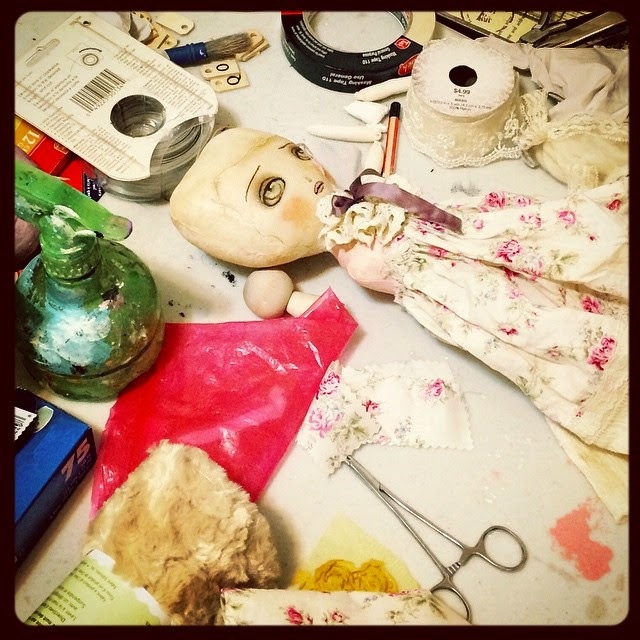 Every little doll I make has a piece of my soul and my experiences imbued in her, and when you take her home, you take a piece of me with you. 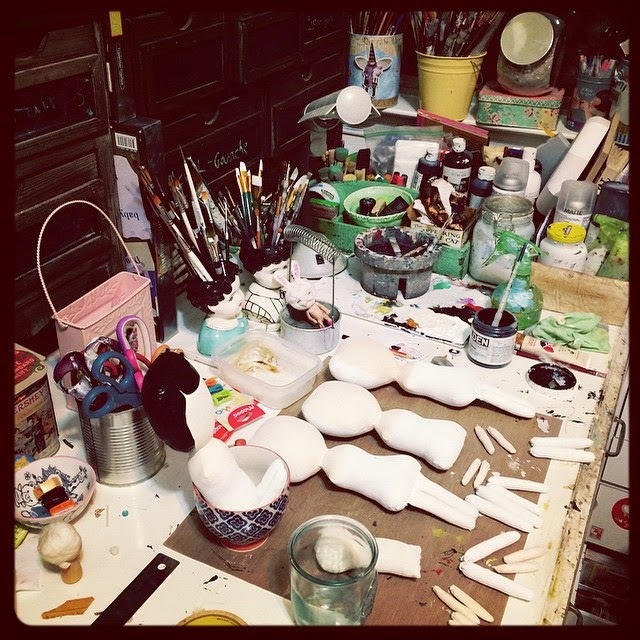 I connect deeply with every doll I make. Each one has a deep meaning for me, a web of emotions, ideas and feelings go into the stuffing that makes her up. Each one has been inspired by something I saw, something I felt, something I feared, something I loved. When you take the doll home, you embrace that emotion that created her and give it a new meaning. You see the beauty within, give it a new chance to be loved and become something much grander that what it was before. Your love makes her better, and she loves you for it. Thank you for taking my dolls home, I have been so blessed with your love for them that they have homes even before they are finished, and they are very grateful for that. And I am too. Thank you for letting me share the process, and what goes on in my mind when I create.